Get an instant price to have your English document edited by professionals. Did you write this or was it your computer? Writing does not come easily to everybody. This is fine, we are not all good at singing, skiing or boiling eggs and there are great editing services available that can help. 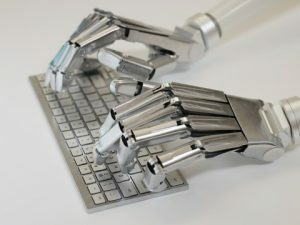 The rise of computer-generated writing has been an interesting development in the world of online commerce. 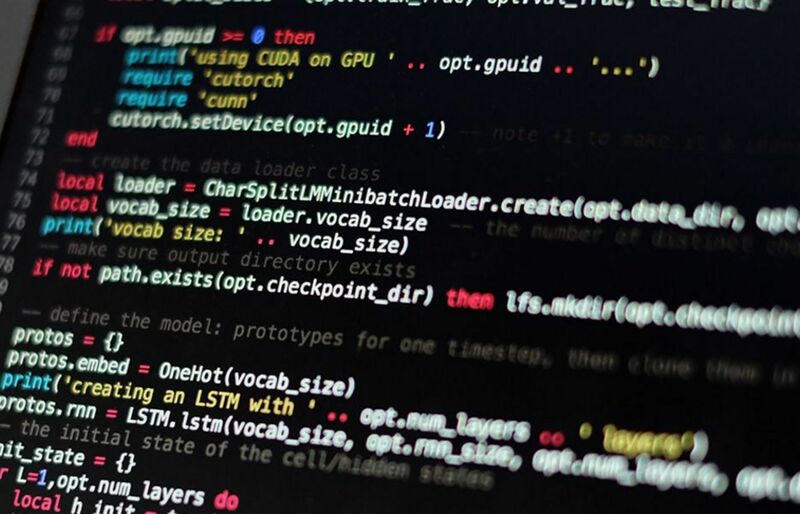 In the past computer-generated writing has been clumsy and unreadable but computer scientists have now created packages which can write readable and appealing text. One example would be Persado, a ‘cognitive content platform’, which rewrites existing pieces using different tones, styles and voices. We no longer need the monkey and his infinite time-span to recreate the works of Shakespeare; computer science has apparently beaten him to it. 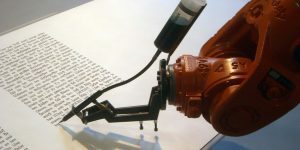 The history of artificial intelligence suggests that at some point a computer will generate a piece of writing that will be celebrated as literary art. People are already using language examples pulled from social media to populate novels and graphic novels. 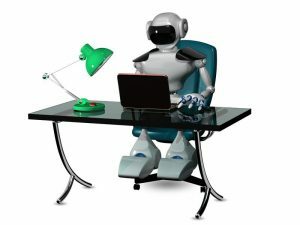 Computer scientists are still in disagreement about whether or not a machine has been developed that can carry out human type conversations natural enough pass the Turing Test but a chatbot called ‘Eugene Goostman’ came very close to doing just that in 2014. It is worth bearing in mind that even though the ability of internet media to deliver impartial news is on shaky ground, the majority of that news is still written by people. The controversy over the recent impact of Facebook on the US presidential election race has demonstrated the power of online media. Imagine how much more influential would be this power if news stories were both written and pushed onto our screens by computers. In Orwell’s novel ‘Nineteen Eighty-Four’ the development of language is controlled by the state. ‘Oldspeak’ is in the process of being replaced by ‘Newspeak’, which, with its strange abbreviations and limitations on synonyms has been created to restrict freedom of thought. The use of language on the internet, in particular on social media, is already speeding up the acceptance of language changes. 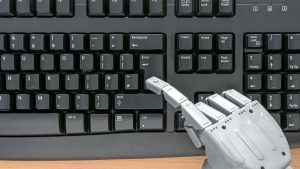 It will be interesting to note whether computer-generated writing will speed up the acknowledgment of new words or slow their development. Social media too is a great place to find laughable errors. 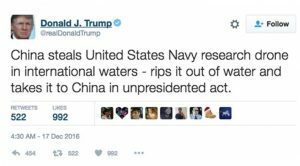 One particular favourite belongs to a Tweet from Donald Trump where ‘unpresidented’ should be ‘unprecedented’ but instead appears to refer to a president who has been removed from office. It would be great to think that computer-generated writing would, rather than reducing text to boring, predictable patterns, provide us with a supply of amusing mistakes. We hope this will be the case but we fear the computer scientists and their writing algorithms have maybe this time been too clever for the good of mankind. 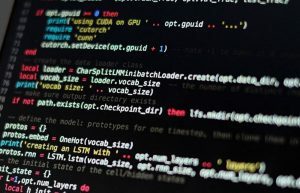 Here at English Trackers we love the English language enough to hope that computers-generated language will be limited to the world of web sales and niche literature. The tide of progress however is difficult to turn and we leave you with a computer-generated poem. Laugh, cry or be amazed, it is entirely up to you. Why did Donald Trump’s speeches fascinate millions and ultimately win votes? Not impressed by Trump? Have a look at the English speeches of some great orators. Our 10-click quote form is specifically designed so that even the busiest client can upload a document in their 3-minute coffee break. Don’t believe us? Need help with your English document? Try English Trackers' professional editing and rewriting service. Check your spam folder if you don't get an email immediately! We’re mad about English. We live it, we breathe it, we make our living from it. We’d like to share our expertise with you. Your written English leaves a trace of you: your ideas, your expertise, your brand. We want to make sure you’re leaving a professional image of yourself. Follow our writing guidelines and make your words COUNT! Need your document in perfect English? The slow way to perfection is years of study and practice; the fast way is to put it into the hands of our professional editors!